With the motto of “empowering women through traveling”, the Travelettes of Bangladesh has proliferated to include more than 25000 members. However, the organization does not limit itself to only empowering women. The team of Travelettes is also working to have a positive impact on the country and its people. For example, their Kornofuli project consisted of for four women who not only traveled to 64 districts around the country in two scooters but also educated the natives on health, education, nutrition, child marriage, self-defense, street safety, national tourism, and Bangladesh’s history. They are also working to eradicate the “taboo” that surrounds menstruation and periods, by openly discussing and answering any queries in schools and colleges. Travelettes of Bangladesh hosts workshops for self-defense, where one can get training on how to respond during a physical assault. They also arrange workshops on food and nutrition, which educate people on how to eat a healthy diet. The children also get lessons on the history of Bangladesh and quiz rounds to take place on the topics of Bangabandhu’s declaration of independence, the Independence Day, and martyred intellectuals’ day, etc. Besides the Kornofuli project, they have hosted a national photography exhibition to create a platform for amateur photographers in collaboration with the tourism board. They are also working to publish an annual travel magazine called Bhromon Konnya (Travel Girl), where female writers and travelers can divulge their experiences. They are also encouraging international tourists to visit beautiful Bangladesh. As a part of this initiative, Corina Tomasschett from Switzerland and Aliyah Yousuf from the United Kingdom have visited Bangladesh with the assistance of the Travelettes. “We want women to step out of their comfort zones and fulfill their dreams,” said Sakia. The purpose of Travelettes of Bangladesh for partaking in the joy Bangla Youth Award program in 2018 is to let everyone know about their work and purpose of empowering women through travel; to prove that women are independent, powerful and capable of accomplishing everything. 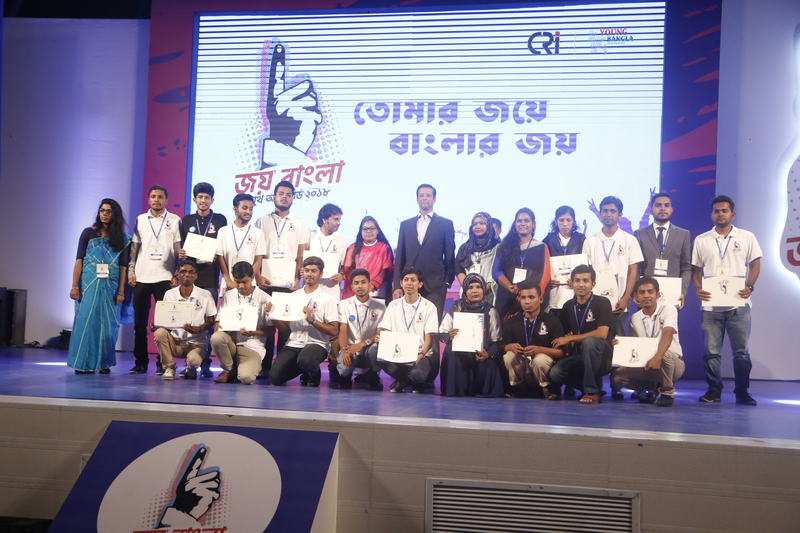 Through the Joy Bangla Youth Award, Travelettes of Bangladesh hopes that the entire country will get to know the progress that women are making in Bangladesh.